World Wrestling Entertainment, or WWE, has its fans and super-fans. And on Eid this year, a number of WWE wrestling superstars came together to wish them all 'Eid Mubarak.' A minute-long video posted to Twitter by WWE features wrestlers like India's own Jeet Rama and Kishan Raftaar as well as the Bollywood Boyz, Jinder Mahal, Mojo Rawley and Sami Zayn wishing WWE fans on Eid is being appreciated by wrestling fans on social media. Tweeted three hours before writing this, the video has been 'liked' over 800 times and retweeted over 300 times already. Tearing up a little bit. 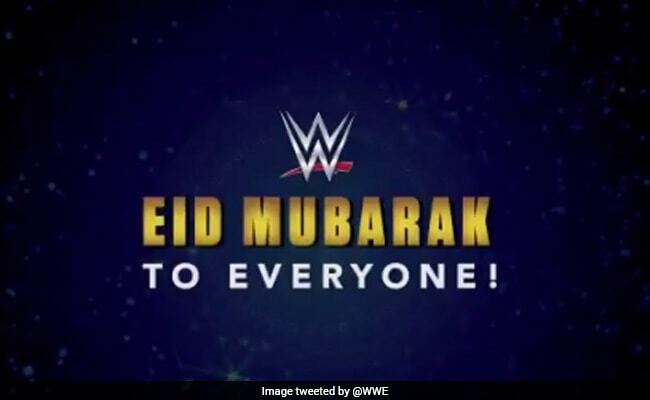 Never as a kid imagined WWE wishing us an #EidMubarak would ever even be considered. Thank so much. The video featrures India's Jeet Rama (as Satender Dagar is known in the WWE universe), along with Kishan Raftaar (or Lovepreet Sangha) as well as real-life brothers Gurvinder "Gurv" and Harvinder "Harv" Sihra, who go by their respective wrestling names Sunil and Samir Singh. They are better known in the WWE world as The Bollywood Boyz. Indo-Canadian wrestler Yuvraj "Raj" Singh Dhesi, who performs on WWE's SmackDown brand under the ring name Jinder Mahal as well as Dean Jonathan Muhtadi, who is an American professional wrestler currently signed to WWE under the ring name Mojo Rawley also wish fans a happy Eid in the video.